Home » Small Business » Are You Making the Most of Your Employees? 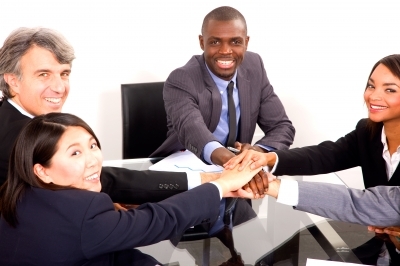 Employees are undoubtedly one of the most valuable assets any business has. This article explores how you can ensure you are getting the most from your employees. You might be surprised at the benefits this entails. Running a business involves all manner of different tasks. If you have a business large enough to warrant having employees, you also have the task of seeking out the best people for the job. However, employing people is merely the beginning. You also have to consider how you will make the most of your employees so your business benefits in lots of different ways. If you neglect to do this you won’t get the results you really want for the future of your business. This is where staff development comes in, but how do you go about making sure you develop the skills and abilities of the people working for you? There are a variety of ways you can do this. Most people have heard of staff training and this alone can involve all kinds of approaches. Of course the most basic approach is to provide regular training in order to allow those taking it to do their jobs properly. However this is only one small part of what training involves. Staff development can also involve other ways to develop people and give them skills and approaches they can use in the future. For example, some companies exist that provide other businesses with development and learning processes they can use to help their staff. It is one thing to discover something in theory, but quite another to see that theory in action. If the proper training and learning processes are followed it is possible that your employees could end up achieving far more and working more consistently than they ever have before. Not to say they aren’t excellent workers at the moment, but they could in theory go a lot further with the proper support and development methods in place. Techniques such as neuro-linguistic programming and coaching are among those that can be put to good use in the workplace. Of course, development methods should always be enjoyable if those involved are going to get the most out of them. The better the learning experience is, the better the results are going to be. Furthermore those results will be translated into the workplace so those who take part in such training will deliver better results in lots of different ways long into the future as well. As you can see, it is worth considering whether you can make more of your employees so you can get better results in the future. Regular training sessions and developmental processes will encourage you to build your business in the future while also building your greatest asset – your employees. If you keep this in mind you might be surprised at what you can achieve. This is particularly true if you can use the help of an experienced business in the area of training and development. Offering your employees some sort of group health insurance protection is a great way to keep that talent. If it seems too pricy know that there are ways to cut down on premium costs! There is no doubt about this. Every business that doesn’t crave for the optimal performance of its staff may find it difficult to get sustained. Its also important that the visions and missions of the firm are clearly communicated to the employees so that every training given would have real and true meaning to the progress of the company. Good employees are essential to run a company, even more if it’s a big business. It’s important to have people working in a serene environment, and encouraging them to work hard and get better results, giving them rewards, also in terms of economic compensation. Employee management is very important for running an online business. Providing training is important to develop the skills among your employees. Knowledge transfer among your employees is vital to taking your business forward. With the right kind of training, your employees can go further than you can imagine. Training your employees the good way is one step forward the company success. I agree with you! Sunday is also has a point and I concur with his opinion. In my point of view engaging your workforce is vital. Employees can communicate ideas and feedback to supervisors and management. Well, an engaging employer will surely be rewarded by an engaged and entitled employee who wants to succeed in the workplace. Communication is very important, most of all between company owner and employees. Trough a honest and fruitful dialogue you can improve their performance. After all, choosing the right people will influence the success of your business. Thanks for taking the time to read and comment, Metz. Great article man. For me, it boils down to communication + trust + opportunity. Majority of them need some push. Give them some time to grow and you’ll be golden. The trick is to give ample of opportunity and chance!